A prosecutor says she’s disappointed by a judge’s acquittal of three Chicago officers accused of trying to cover up the 2014 police shooting of black teenager Laquan McDonald but that she hopes something positive can come from the case. Special Prosecutor Patricia Brown Holmes said after Thursday’s hearing that although her team disagrees with Cook County Judge Domenica Stephenson’s ruling, they respect it. The judge who cleared three Chicago officers of trying to cover up the 2014 fatal police shooting of Laquan McDonald appears to have accepted an argument that jurors who convicted the officer who fired the shots didn’t. Judge Domenica Stephenson repeatedly said in her ruling Thursday that McDonald continued moving and holding a knife after being knocked to the ground by Officer Jason Van Dyke’s initial shots, suggesting he could have still been seen as a threat. The jury that convicted Van Dyke of second-degree murder and aggravated battery in October didn’t see it that way and the police dashcam video that was crucial to convicting Van Dyke appears to show that McDonald’s movements while lying on the street were largely caused by Van Dyke continuing to shoot him. 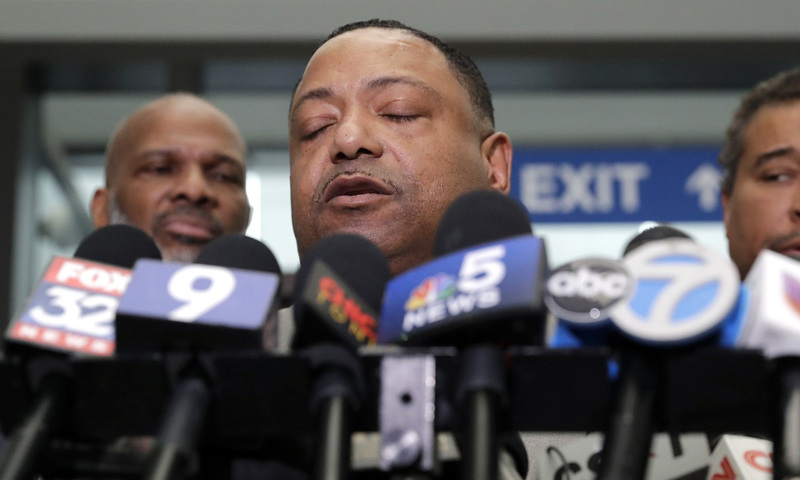 Cook County Judge Domenica Stephenson expressed skepticism during Thursday’s hearing that there was any attempt by officers Joseph Walsh, Thomas Gaffney and David March to cover up the shooting, much less proof beyond a reasonable doubt. Judge Domenica Stephenson expressed skepticism during Thursday’s hearing that there was any attempt to cover up the shooting by officers Joseph Walsh, Thomas Gaffney and David March.